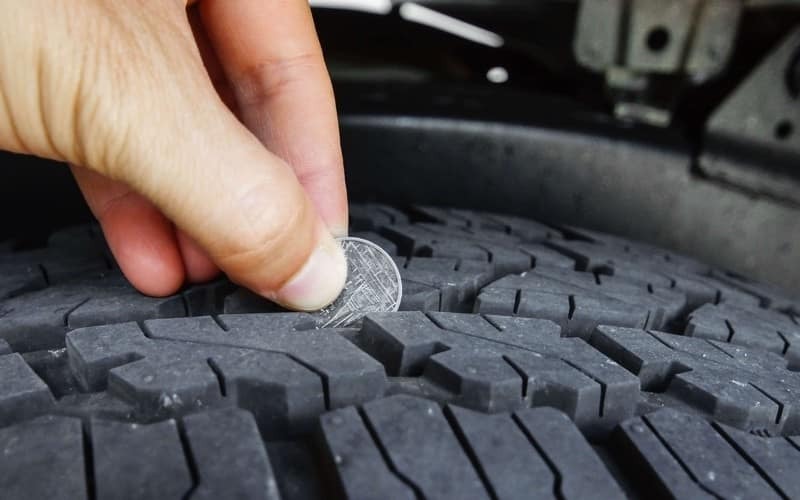 both safely and efficiently by following these tire care tips from Arlington Toyota. Afterward, if you’re still feeling lost, don’t hesitate to visit our professional service center. On the sidewall of your tires, you’ll find their recommended PSI (usually between 30 and 35). Stop at a gas station with an air pump, and fill up the tires to the recommended air pressure. 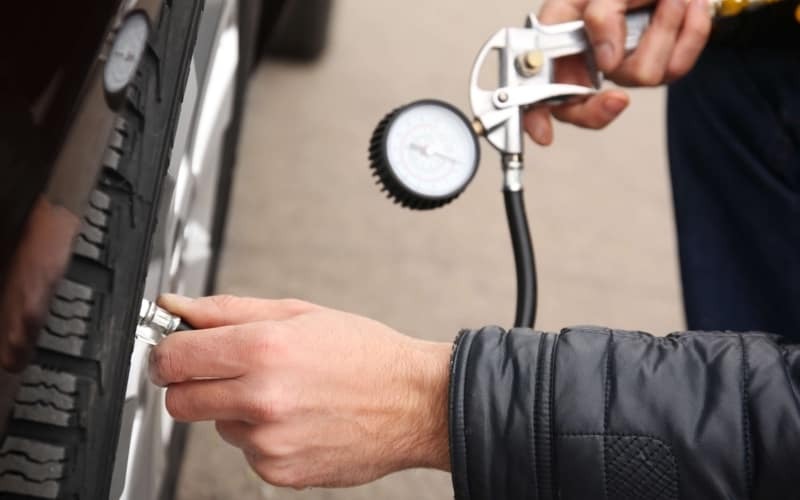 If you’re uncomfortable doing this on your own, the Arlington Toyota service team will take care of your tire pressure check and inflate your tires for you the next time you bring your vehicle in for an oil change or other routine service. Running on bald or low-tread tires is dangerous. In addition to the fact that your vehicle isn’t as responsive as it should be in terms of steering or braking, you’re also at risk of blowing a tire, which puts not only you but those around you at serious risk. Turn the penny so Lincoln’s head is upside down. With Lincoln’s head now pointing into the tire, insert the penny between two treads. If you can still see the top of Lincoln’s head, it means your tire tread is too low, and it’s likely time to get new tires. Tire rotations are an essential component of tire maintenance. As you drive your vehicle around Atlantic Beach, your driving habits tend to wear down the tread on certain tires more quickly than others. When you get your tires rotated, this helps ensure that the tires wear down more evenly over time, which both improves the performance of your car and helps extend the life of the tires. Tires can be a bit pricey, so in order to get as many miles out of them as possible, it’s important to take care of them. The easiest way to do that is to get tire rotations every several thousand miles or at the very least every other time you get an oil change. Since this is a procedure that involves special equipment, you’ll probably want to schedule an appointment to have this done when the time comes. First make sure you find a safe spot off of the road that doesn’t put you at risk. Put your hazard lights on, and make sure the parking brake is activated. At this point, you’ll need to unscrew the lug nuts so you can remove the flat tire. Replace the hubcap, put all your equipment away, and double check that the spare tire’s pressure is correct. 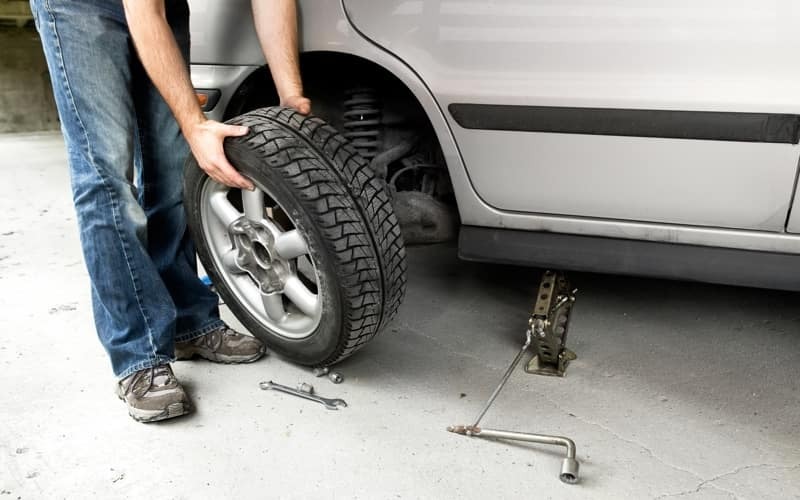 Afterward, you’ll want to get your vehicle to a maintenance shop to get a new tire put on as soon as possible. Important: Spare tires are only intended to be a temporary fix, and they’re not to be used when driving at high speeds! Q: How Often Should I Get My Tires Aligned? Are you experiencing vibrations in your vehicle’s steering wheel? Does your vehicle keep drifting on one side? If yes, then read what our Service Center experts at Arlington Toyota in Jacksonville, FL say all about this. If there is an issue with alignment of tires and wheels of your vehicle, it will definitely lead to various other severe problems in different systems of the vehicle. As you drive your vehicle, it isn’t difficult to tell that there is something wrong with alignment because your vehicle should be pulling towards one way or the other. Misalignment of the wheels and tires may also cause vibrations. To avoid all these issues, you simply have to get your wheels and tires get aligned. Tires’ proper alignment is also necessary for the extended life of your vehicle. Also if the tires and wheels are not aligned properly, your tires will wear out before they are expected to do so. We at Arlington Toyota in Jacksonville, FL recommend our customers to get their tires aligned whenever they get the new tires or wheels for the vehicle. Though there is no specific timeframe recommended for tire and wheel alignment however it is good to get your tires’ alignment checked after every six months or a year for new vehicles. If you are driving an older vehicle then it should inspected more frequently. If you are experiencing such issues, you must visit Service Center of Arlington Toyota in Jacksonville, FL today. While many of the procedures mentioned above can be handled by DIY enthusiasts with a bit of automotive know-how and ambition, most drivers will want to rely on experts who have the certifications, equipment, and expertise to ensure that job is done right. 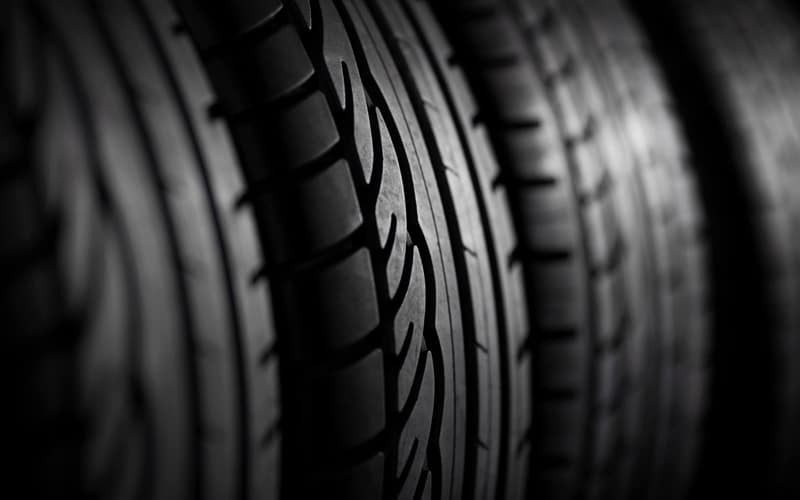 Schedule your next tire service for your vehicle here at Arlington Toyota! While you’re at it, make sure you check out our current service specials in order to take advantage of any deals we’re currently running around Orange Park and Amelia Island. Our dealership is in Jacksonville, FL, so stop on in or contact us today. Purchase a Genuine Toyota Battery, Get $10 Off! Toyota vehicles only. Must present coupon at time of write up. Cannot be used with any other offer, coupon or special. No cash value. See your service consultant for details. Toyotas only. Coupon must be presented at the time of write up with your service consultant. No cash value. Not valid with other coupons. Toyota Models only. Not Valid with any other coupons or offers. Must present coupon at time of write up. No Cash Value. Includes up to 5 quarts. Larger models may be extra. Enjoy 10% off Genuine Toyota Parts and Accessories. Valid Only on Genuine Toyota parts. Retail Parts Counter Purchases Only. Not valid with any other offers or coupons. Present Coupon before check out. What Vehicle Maintenance Should I Do Before Going on a Road Trip?